The most concrete way to become the parent you want to be is to practice reflective parenting. Practicing reflection can lead to great growth. 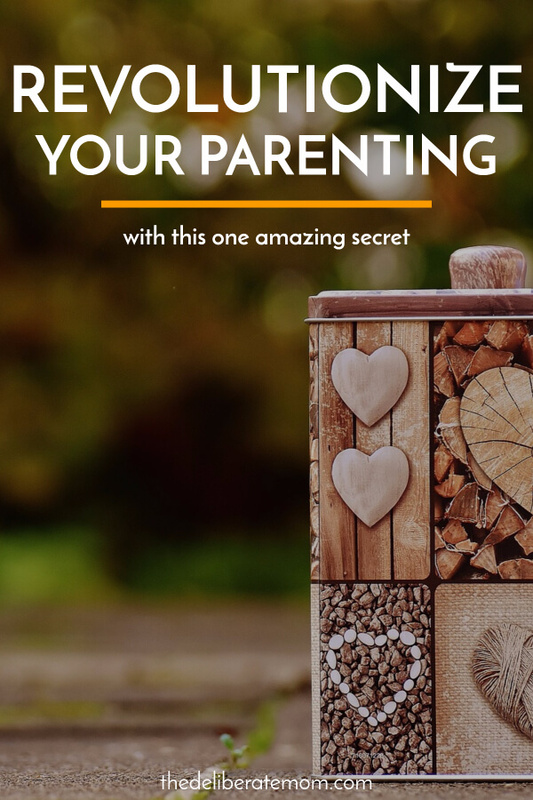 With reflection, you’re challenged to think about the whys and the hows of parenting, which is sometimes lost in the emotions of parenting (i.e. I can only recall how after I reprimanded my child, she screamed how she hated me and then didn’t talk to me for hours. Reflecting on the why and how of the situation makes me dwell more on what she did and the necessity of reprimanding her behaviour). However, reflecting can be burdensome. The thoughts cycle in your mind and if left uncontrolled, can cause frustration, disappointment, and self-deprecating behaviours. For instance, you may reflect on the day and only recall your child’s reactions or dwell on the words you wished you hadn’t used. You may even get hung up on the negatives and forget to dwell on the positives. That’s why the key to reflective parenting is journaling. Journaling was one of the most positive things I’ve ever done to build my parenting skills. I could challenge myself to work on an area (such as playing more with my children) and then reflect on the impact that my changes made. What you loved about the day. Record the highlights of the day, what went well and any parenting successes you had. What you wish you could change about the day. Write about anything that you wish could have been done differently. Don’t let these thoughts haunt you. Dump them into your journal and move on. What you want to do differently tomorrow. This is perhaps one of the most critical parts of reflective parenting. Take some time to decide how you want to make tomorrow better than today. Be specific! For example, instead of writing, “spend more time with the kids”, you could write, “have a tea party with the kids”. Write any thoughts you have about parenting. If you read a thought-provoking parenting book or article, write about it. Reflect on how it impacted you. Was it sound advice? Was it helpful? What emotions did it evoke in you? It’s really easy to start journaling. All you need is a notebook and a pen! I recommend writing your reflections rather than typing them. Writing allows more time to ponder and reflect. There’s also less chances of interruption when you’re writing in a journal (as opposed to documenting your thoughts on a computer or the notes section of your phone). If you would like a journal specific to documenting your reflections as a parent, I encourage you to look into my Get Reflective Parenting Journal. While I created this journal to accompany the Becoming a Deliberate Mom Workbook, it can be used separately as well! Plus, since it’s a digital product, all you have to do is download the journal, and then use it as many times as you like! The Get Reflective Parenting Journal can be purchased on its own or at a discount when bundled with the Becoming a Deliberate Mom Workbook. By taking the time to practice reflective parenting, you can become the mom you long to be. Try it out! I’m certain it will transform the way you think about yourself as a mom! « « How to Inspire Learning (Even in the Summer)! I love journaling about my parenting practices. It’s made such a huge difference to my parenting, my perceptions about myself as a mom, and has increased my confidence. I encourage you to give it a try Janine! I really like that you begin your reflective journaling with what you loved about the day. I think it’s so easy to get caught up on what could be better and forget about what is going well. Thank you for sharing this. I am pinning it! I’m delighted this resonated with you Amanda! I love reflective journaling (especially about my parenting practices)! I encourage you to give it a try! This definitely resonates. I find myself answering yes to too many of those questions! Cassidy does reflective parenting and journaling, and I always thought I had it covered with blogging, but I actually need the extra kick too. Yes, blogging probably doesn’t cover it because journaling is so personal and intimate… you just pour out your heart and it’s for your eyes only. It can be very revealing. I have never thought of reflective parenting until now. I don’t generally journal anything but I can totally see how this can help me to become a better parent. I’m good but I always feel that I’m lacking something. This might just be the thing I need. Journaling is definitely transforming. You unleash your thoughts… uninhibited on paper and there’s no one there to judge or give advice or dismiss your feelings. It’s amazing. You should give it a try… it might surprise you! Jennifer, you are a MACHINE girl! I just LOVE this idea about reflective journaling and I’m SURE you have created something just perfect to help moms do this through your talented words and wisdom. I’m so glad you have included it in that amazing bundle, and I can’t wait for it to go on sale! Thanks for the encouragement Christine! 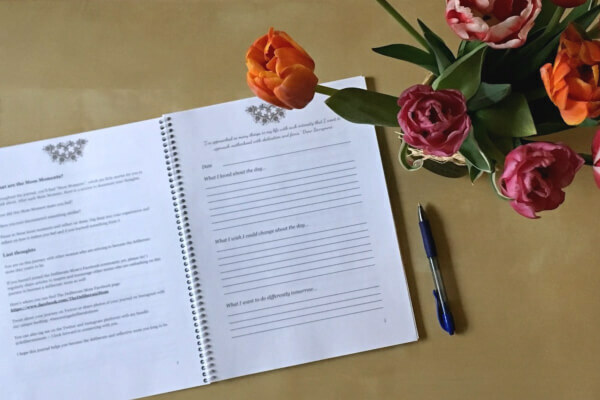 After I made my Becoming a Deliberate Mom workbook, I immediately got to work on this reflective journal because I just knew it would compliment the workbook beautifully… but I made it so it could also be a stand-alone product. Reflective parenting and journaling about my parenting has transformed my parenting journey beyond what I could have imagined! I’ve never been a journaler, but thoughts like these swirl in my head all the time! I’d probably get better at thinking them out more clearly and following through if I did start writing! Yes, journaling is a great way to get them out of the brain and onto paper. Plus it’s more likely to make changes when you’ve documented your ideas somewhere. I was nodding my head to all of this Jennifer! So often I get caught up wishing I had done things differently during the day with my kids and feeling guilty about it.I love your journaling idea. Though I love to journal I have never thought of journaling reflectively about my day as a parent. Thanks so much for your helpful insight! Journaling makes a tremendous impact on my approaches in parenting. It’s a wonderful way to reflect, assess, and improve. Love this idea Jennifer! I have a section in my journal where I reflect on the day and the good things that happened, as well as one thing I could have improved upon. It has really changed things for me. It’s such a helpful practice, isn’t it Tiffany? !